Naimat – What Does The Future Hold For Bilal? Taking a stand for your mother is precisely what every child would do no matter what the situation be. Bilal has proved to be an amazing son – standing like a shield for his mother, protecting her from his self centered father. There’s no doubt that Baber loves Bilal as much as Sara does, but he has to do what’s best for him. Naimat is that drama serial which is taking us all on an emotional roller coaster, all the ups and downs and highs and lows, it just keeps on getting better by every passing week. Baber and Zara are constantly making efforts to make Bilal happy but he just couldn’t care less. On the other hand Baber is neglecting Zara as now he has his son around him. Zara’s mom is now playing that evil mother’s role who won’t quit pinching Zara about how Bilal is going to take over every tiny thing in her life and she should just kiss goodbye to her husband’s love forever. Now that Baber’s mother is leaving for Hajj, just adds more reasons for Sara to get worried for her son, how will she manage work and Bilal all alone? Furthermore, Zara suddenly realizes that she craves attention from Baber! Knowing that he doesn’t value her enough ever since his son stepped in the picture. Things only get worse for Zara. Will Zara be able to get the love she needs from her husband? Or will this marriage be a total fiasco too? How will Bilal react to this change that he’s going through? Is Sara going to quit her job? So much more to look forward to! 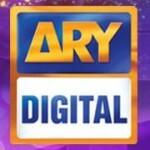 Watch Naimat only on ARY Digital on Mondays at 8.00 PM. Did You Say Ripped Jeans? These Pakistani Celebs Flaunted them! This Chaai Waala Is The Latest Hot-Tea Or Hottie?